A very few of you may remember me from the early days of Bitshares; back then, I was a lowly graduate student interested in game theory and cryptocurrencies. Now, I've worked my way up to professor of Computer Science at the University of Colorado: http://cs.uccs.edu/~pbrown2/. I've been doing a bit of research on stablecoins recently, and I want to gather some perspectives on what went wrong with BitUSD. I think there are some very interesting underlying problems with stablecoins in general (see NuBits for some early examples), and collaboratively-managed stablecoins in particular (see BitUSD), and I'd like to understand these problems very clearly. 1. Was BitUSD mismanaged? If so, by whom and why? 2. Was it the fault of BSIP42? 3. How will BitCNY be saved from the same fate? 4. Was the GS inevitable? I am keenly interested in these topics and academic research thereof. I've sent a note to your University account to continue our dialog. BSIP42 allowed witnesses to experiment more with price feeding to improve the peg. Different algorithms have been tried which came with more risks and better peg for certain market conditions. that the peg was holding strong, at a (significantly) increased risk of global settlements. of bitUSD and move the call price even further. been filled more easily. Would there have been traders doing so? No one knows. to give (and take) incentive to borrow (and short sell) new bitassets (depending on supply and demand). vast majority of the bitCNY traders and BTS holders from China. goes more than ~2% away from fair market pricing for bitUSD. now bitCNY has a global settlement price of 0.2568.
the current BTS price is 0.247CNY. this means if now witnesses feed real market price bitCNY is already in black swan status. this help to avoid black swan, and now bitCNY still has a premium of about 4%. anyway, I think this is much better than just let global settlement happen. actually we have suggest to add same protection logic in bitUSD price feeding, but seems only little witnesses has done that. Would you say this is an accurate way to rephrase your statement: "better to lose the peg via a nonconsensus hack than to lose the peg via a GS." I'm pretty sure that I agree with that sentiment. That makes it sound like it's worth looking in to a major protocol update which would soften the GS nuclear option in some way. Thanks for the writeup. A big problem stablecoins face is that risk is very hard to eliminate, and a change that reduces one risk may very easily increase some other risk. It sounds like what you're saying is that BSIP42 reduced BitAsset short-term volatility, and inadvertently (or maybe deliberately?) increased the risk of a GS. Whether the total amount of risk in the system increased or decreased isn't clear, but since GS is such a drastic operation (essentially everybody loses in a GS), anything which increases the risk of a GS is probably a bad idea. People who borrow money in a bull market don't want to pay back money in a bear market. Price control makes the settlement price higher than the market price. I think BTS needs laws to restrain these borrowers. Sorry for my english, but what about the implementation of Bancor protocol ? I don't think "nonconsensus hack" is a suitable name for that. but as you know, to do such update in a public blockchain need long time to go through the discussion->BSIP draft->voting->develop and test->hard fork process. when the real risk is nearby, I think it's good for the witnesses to feed the black swan protection price, as it is based on public discussion, not private manipulation. and you can see bitCNY and bitUSD are in different status now, although neither of them peg well, but bitCNY has a 2-6% premium, however bitUSD has a 30% discount. Global settlement happens when collateral is not maintained by bitasset shorters. 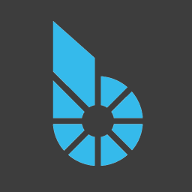 Bitshares has a built mechanism to punish them to maintain their collateral and also incentivise would be margin call buyers. The bitasset shorter is punished by selling his collateral at a 10% discount. The margin call purchaser is incentivised to buy BTS at a 10% discount from feed price. All we need to do is increase it to 20% and bit asset shorters are more likely to maintain their collateral. For perspective, most Wall Street, traditional banks, and other such financial infrastructure would also collapse if put under those kinds of stresses. In part, it is sort of amazing the system was as dynamic as it was and lasted as long as it did, under those circumstances. A lot of the other comments here are from some very knowledgeable people. I would also like to add that there are certain, “games that were played” with magins. Many of these were about maxing out margins. I understand why some of the actions were taken, but -particularly from an academic point- I do not think there were necessarily good or beneficial to the system as a whole. To start off with many big players maxed out magin to the absolute max -particularly on the way up. So people would create USD, then buy BTS with it, then use that BTS to create more bitUSD and repeat the cycle. (This is sort of like borrowing money on your credit cards to buy a house and then mortgaging the house.) While we have a official 1.75 asset requirement, borrowed assets allowed one to effectively get greater leverage than the system was originally intended for because borrowed money was used as collateral. When there was a turn in the market, it was not long before these highly leveraged individuals were suddenly being called. They did not have much protection. I think there were also games played were money was moved between accounts. (I am not trying to blame people here, there is no problem with managing money in different accounts.) That said, it can be smart, and beneficial, but can also hide certain actions. I think many that played the game, may be less likely to fully explain it public. They do no want their strategies understood. I think there are some aspects to what happens they would prefer to keep secret. That said, as markets enter a long downtrend, there was an advantage to exit certain positions sooner rather than later. A margined position, can be used like a stop loss order, where a margined position will absorb market liquidity. If you had an account, that was getting margin called you could absorb all available liquidity. Taking this liquidity to exit positions while prices was high, was more advantageous than holding onto said positions until they fell. By exiting quickly, one could save profits to buy back in later at a lower price. Many people did not like this constantly margin call walls this activity put up. With everyone margining on the way up, prices could rise very quickly in a feedback loop. With potentially less than completely liquid markets, and markets rising, and people that constantly margined accounts to the max could push huge upswings in the BTS price very quickly. This though could result in the last person to buy, -taking on too much margin- and losing his position. Whales, would then eat up the small fish. It was a cycle that seemed to happen again and again. It is dangerous if one did not know what they were doing. Being an open blockchain, it could then add a completely new level of game, where people can see each other’s positions and purposefully squeeze them. All evidence of past transactions is recorded in the blockchain. I think it would provide on interesting research project for some student at some time. Playing with margin can be very dangerous. Some things are going to happen. There are lots of levels to the activity that takes place. > 1. Was BitUSD mismanaged? If so, by whom and why? bad debt holders mismanaged their margin positions, committee potentially mismanaged the configuration of bitUSD, feed publishers mismanaged the application of bsip42. > 2. Was it the fault of BSIP42? Not entirely, but bsip42 should never have been applied to bitUSD - afaik only CNY was in scope but some chose to apply it to many bitassets. > 3. How will BitCNY be saved from the same fate? Manipulation, or by increasing the price of BTS. > 4. Was the GS inevitable? Yes, the external market value of 1 BTS dropped like 95% within one year, we were bound to have squeezed margin positions to their breaking point.